The chemical makeup of Rosemary oil gives it renewing properties that can be both energizing and settling—particularly when you diffuse the oil. 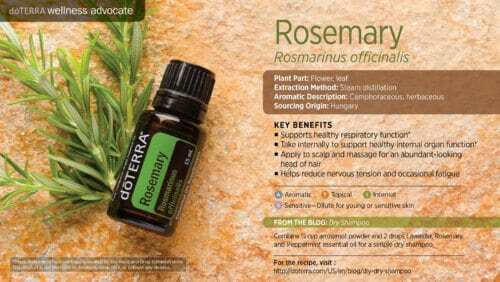 When you need to study for a big test, memorize your slides for a presentation at work, or just need to finish a project, diffusing Rosemary oil can be helpful. 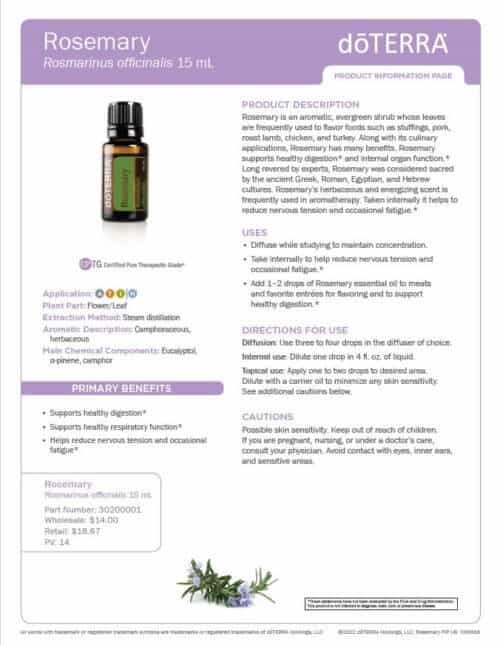 In the essential oil diffuser of your choice, consider diffusing Rosemary while studying to help maintain concentration. As the renewing, green aroma of Rosemary oil wafts through the room, you’ll be able to focus on the task at hand. Possibly the most common application for the rosemary plant is in cooking. Fortunately, Rosemary can be used as a substitute in your favorite rosemary-infused dishes. 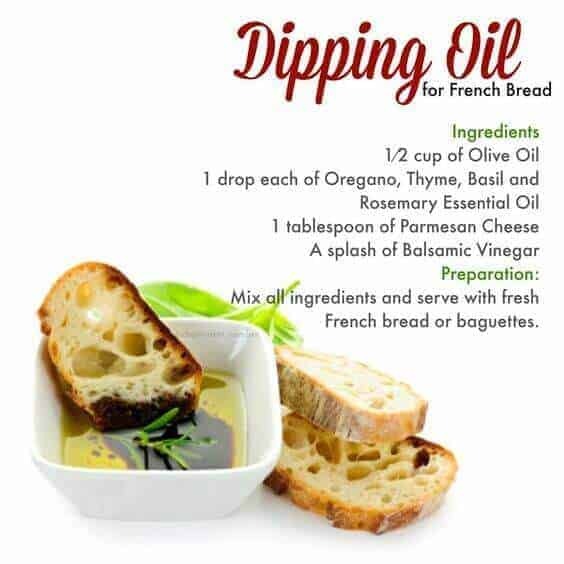 If you have a favorite recipe that calls for rosemary, you can easily add one to two drops of Rosemary to meats or traditional entrees in order to add flavor or to support healthy digestion. * Looking for a hearty Rosemary recipe? Try this Balsamic Rosemary Marinade to add instant flavor and excitement to any weeknight meal or backyard barbeque. 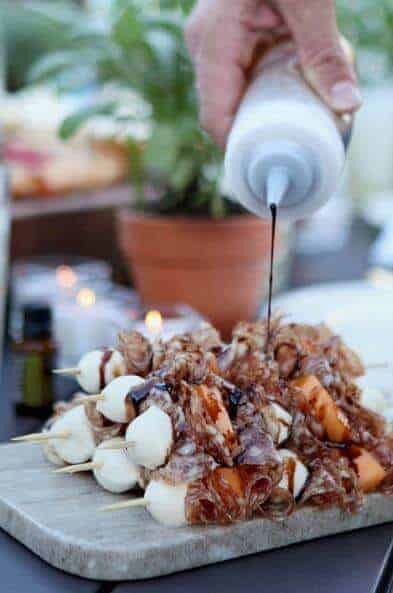 Speaking of summer festivities, these Italian Summer Skewers with Rosemary Balsamic Reduction are the perfect sweet and savory addition to any outdoor get-together. Using mozzarella, salami, cantaloupe, brown sugar, and Rosemary, these skewers will be a hot item at your next summer bash. Trying to relax? Let the renewing properties of Rosemary soothe your body and soul at the end of a long day by creating a relaxing essential oil bath. Adding essential oils to a warm bath can promote a calming, relaxing environment that allows you to take a break—both mentally and physically. Combine Rosemary, Frankincense, and Epsom salt into your bath for a rejuvenating experience when you are in need of a little “me” time. Like many other essential oils, Rosemary oil can be helpful for promoting full, healthy-looking hair. When you want to promote an abundant-looking head of hair, consider using Rosemary oil when giving yourself a stimulating scalp massage. To improve the scalp massage even further, combine Melaleuca and Rosemary oil together. Whether you are styling or grooming your lovely locks, it is always a good idea to use Rosemary oil for hair. When you want natural-looking beach waves, try this homemade Beach Wave Salt Spray that includes some of the best essential oils for hair—Rosemary, Lemon, Fractionated Coconut Oil, and doTERRA Healthy Hold Glaze. This concoction will give you effortless beach waves in just a few minutes, leaving your hair with the sweet, salty fragrance of the ocean. Want to make your own essential oil dry shampoo? This DIY dry shampoo tutorial brings together the sweet scents of Lavender, Rosemary oil, and Peppermint to keep your hair looking and smelling great when you don’t have time to wash it. 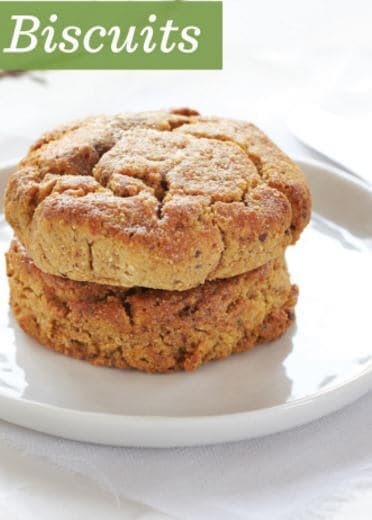 Looking for more delicious Rosemary recipes? 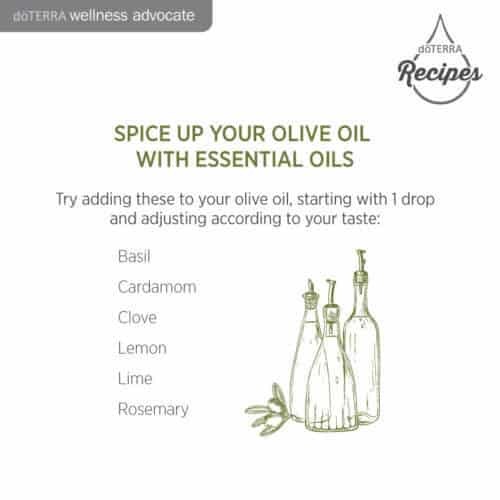 You can quickly turn traditional mashed potatoes into a flavor-filled side dish with a little help from doTERRA Rosemary. 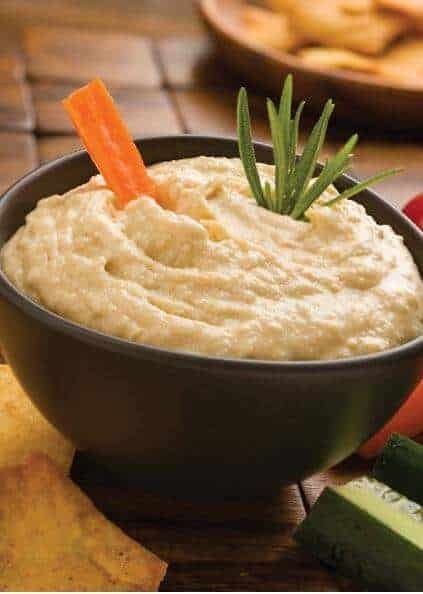 Whether you are a prepping for a holiday meal, or just want some comfort food, these Rosemary Mashed Potatoes will leave both your taste buds and your tummy happy. 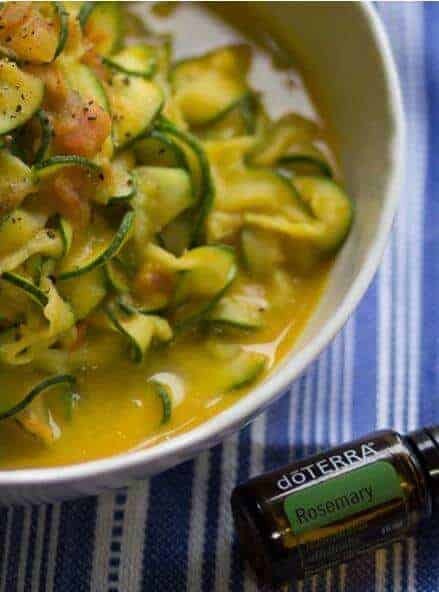 Speaking of happy tummies, this essential oil recipe for Rosemary Zucchini Fettuccini has become a doTERRA favorite because of its healthy ingredients, powerful flavor, and beautiful presentation. 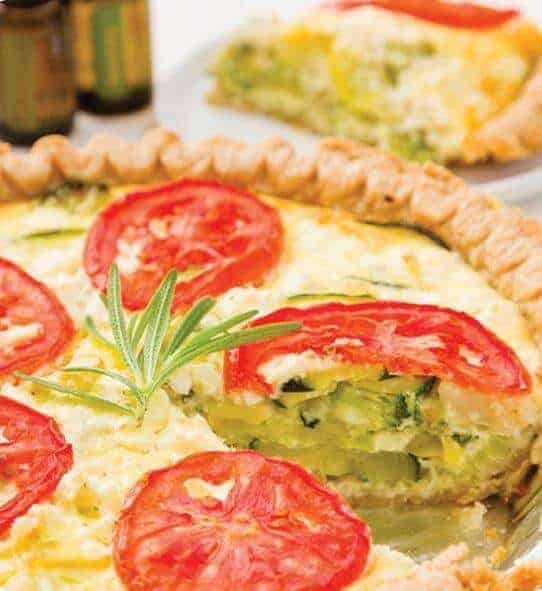 Zucchini, butternut squash, and Rosemary oil make this a truly unique dish that will soon become a regular meal at your house. Because of its rejuvenating scent and renewing properties, Rosemary oil is often used for massage. Consider combining Rosemary oil with a carrier oil like Fractionated Coconut Oil and applying it during a massage. 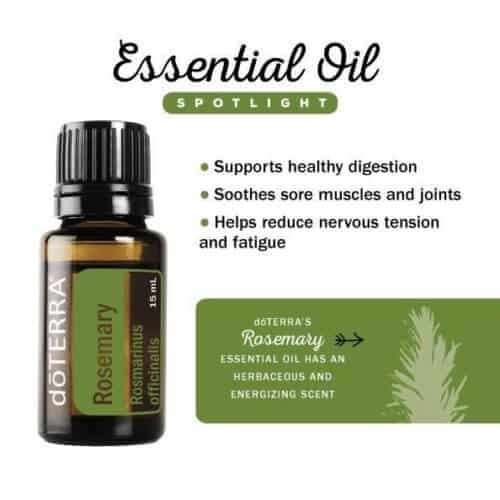 To create a soothing massage experience, you can also blend Rosemary oil with Wintergreen to cool and relax the skin. When you want a relaxing massage, mix Lavender with Rosemary oil for stress reduction. Topical use: Apply one to two drops to the desired area. 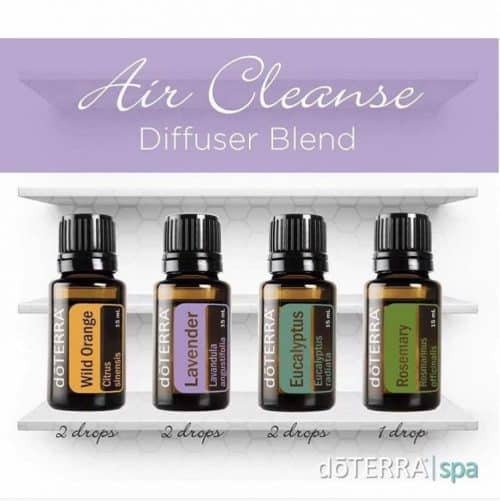 Dilute with doTERRA Fractionated Coconut Oil to minimize any skin sensitivity. See additional cautions below. Make Your Favorite Salad with: Heart shaped -cucumbers -tomatoes -cheese along with -salad greens -pomegranate seeds. 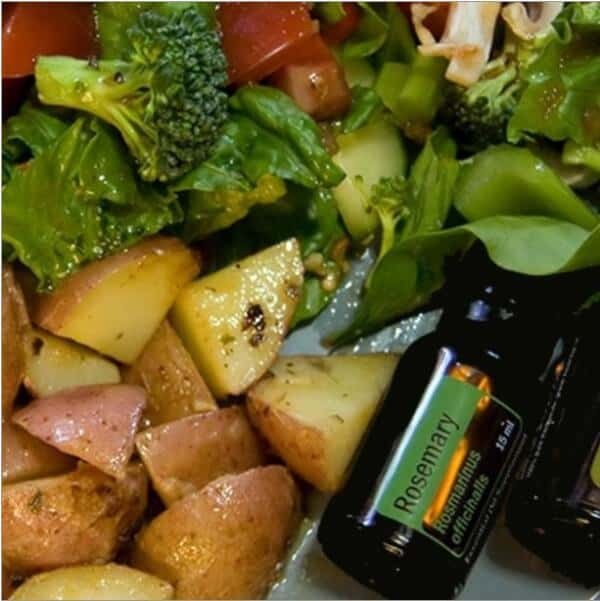 Rosemary essential oil is the secret ingredient for the perfect raspberry vinaigrette. Gently mix and massage some of the mixture into your scalp daily. Leave it on for 30 minutes or overnight then shampoo as usual. I add Rosemary to my husband’s shampoo to help him have a healthy head of hair.